08/23/2018. At the recent GCPI - Tsinghua Forum this June 28th, the Journal of World Education took the opportunity to interview co-organizer of the event, UCLA Asia-Pacific Center Director and distinguished Chinese academic, Professor Min Zhou. Min Zhou is Professor of Sociology and Asian American Studies, the Walter and Shirley Wang Endowed Chair in US-China Relations and Communications, and Director of the Asia Pacific Center at the University of California, Los Angeles (UCLA). Her main research areas focus on migration and development, Chinese diaspora, ethnic entrepreneurship, racial relations, and the sociology of Asia and Asian America. Elaborating on her recently published books The Asian American Achievement Paradox (2015), The Rise of the New Second Generation (2016), and Contemporary Chinese Diasporas (2017), she discusses the considerable accomplishments and enduring plights of Asian Americans into the 21st century. She is the recipient of the 2017 Distinguished Career Award of the American Sociological Association Section on International Migration. Co-sponsored by the Center of Chinese Enterpreneur Studies, the GCPI Tsinghua Forum sought to discuss the development of Chinese philanthropy across the globe, and managed to draw an audience of over 200 prominent philanthropy stakeholders from China, the U.S., UK and Southeast Asia. 07/25/2018. On June 28th, the GCPI –Tsinghua Forum kicked off in Beijing which featured the release of the first comprehensive research report on global Chinese philanthropy. The report focuses on the donation trends, motivations and influences of American Chinese and Chinese philanthropists living in China, Taiwan, Hong Kong and Macao. Vice President of Tsinghua University, Yang Bin indicated at the event that China and the US have excellent opportunities to jointly further the development of philanthropy in both countries. He also predicted that Chinese philanthropic giving will continue to grow strongly in the future. UCLA Chancellor Gene Block meanwhile pointed out quite how quickly Chinese philanthropy was developing, emphasizing that philanthropy is certainly worth investing in. Jointly organized by the Center for Chinese Entrepreneur Studies, Tsinghua University and the UCLA Asia Pacific Center, the forum was aimed at enhancing the spirit of Chinese philanthropy, promoting corporate social responsibility for Chinese businesses and to encourage cooperation among Chinese and overseas Chinese philanthropists. 07/20/2018. Chinese and American Chinese philanthropy has been developing rapidly over the last decade, a report launched by GCPI has found. Speaking at the GCPI-Tsinghua Forum, held on June 28th, Stewart Kwoh, President of Asian Americans Advancing Justice – Los Angeles, highlighted the results of a groundbreaking research report on Chinese and American Chinese philanthropy. Focusing on statistics from 2006 to 2016, the report analyzed the motivation, purpose, focus and impact of 60 philanthropists from Mainland China, Hong Kong, Macau, Taiwan and the United States who have donated over a million dollars. Future research by GCPI is likely to extend to Chinese philanthropy across East Asia, Southeast Asia and other parts of the world. 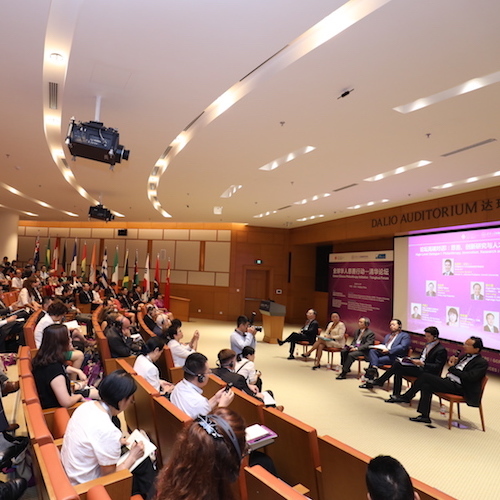 The GCPI-Tsinghua Forum provided a platform to openly discuss the future of Chinese philanthropy to its over two hundred guests, some of whom had traveled from as far as the US, the United Kingdom and Hong Kong and Singapore to attend. Featuring speakers from across the diverse philanthropy field the forum saw presentations from heavyweight entrepreneurs and philanthropists such as Ronny Chen, Chairman of Hang Lung Properties and Dezhi Lu, Chairman of Hongkang Life Insurance to academic leaders such as Bin Yang, Vice Chancellor of Tsinghua University and Gene Block, Chancellor of UCLA. Held at Tsinghua University's Schwarzman College, its location was to symbolize the past and future accomplishments in Sino-US relations. 07/02/2018. On June 27-28, over 200 Chinese and foreign experts gathered at the GCPI – Tsinghua Forum in Beijing to discuss the global development of Chinese philanthropy. At the forum, Stewart Kwoh, Founder and President of the Asian Americans Advancing Justice – Los Angeles, presented the first-ever report on global Chinese philanthropy released by GCPI, based on a vast amount of data collected from 2006 to 2016. The report selected 60 philanthropists from Mainland China, Hong Kong, Macao, Taiwan, and the United States and analyzed the motivation, purpose and focus behind their donations. The rest of the forum consisted of three high-end dialogues, a dean's panel and two sets of academic discussions. Topics included trends in Chinese philanthropy, innovation in philanthropy, talent cultivation and the next generation of philanthropists. 07/02/2018. 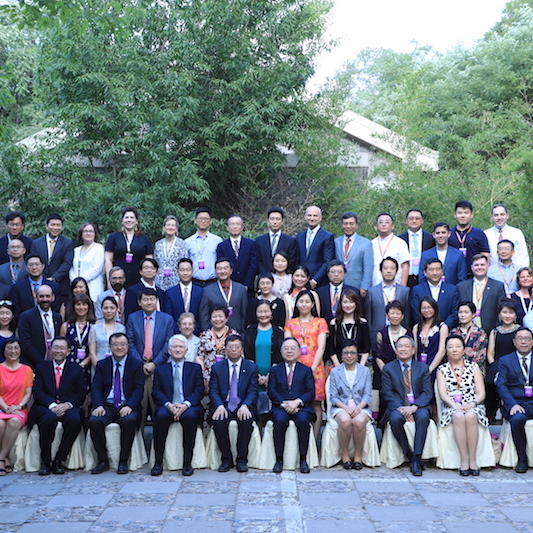 Over 200 guests and participants from diverse backgrounds attended the GCPI-Tsinghua Forum, which took place at the Tsinghua University campus in Beijing this June. Participants were invited on account of their individual contributions to the development of Chinese philanthropy in China and abroad with the guests including philanthropists, academic experts, foundation leaders, government officials and so on. The forum's main goal was to raise the profile of Chinese philanthropy and promote its development. At the same time, the forum facilitated the exchange of ideas and best practices among like-minded philanthropy stakeholders to great avail. Co-chaired by Professor Long Denggao, Director of the Center for Chinese Entrepreneur Studies, Tsinghua University, and Professor Zhou Min, Director of the UCLA Asia Pacific Center, the forum's opening ceremony featured speeches by prominent academic leaders Tsinghua University Vice Chancellor Bin Yang, UCLA Chancellor, Gene D. Block and Vice Minister of the CPC Central Committee's United Front Work Department Tianxing Tan. Subsequently, preceding the forum's three high-level dialogues, dean's panel and academic presentations, Stewart Kwoh, President of Asian Americans Advancing Justice – Los Angeles, presented GCPI's report on Chinese philanthropy. The report is the world's first comprehensive research report mapping the focus, motivations and impact of Chinese philanthropy in Greater China and the US. 06/30/2018. On the 27th of June, Tsinghua University hosted a dinner reception to welcome the special guests to the GCPI Tsinghua Forum which was to be held the subsequent day. Professor Yong Qiu, Chancellor of Tsinghua University, and Professor Gene D. Block, Chancellor of the University of California, Los Angeles (UCLA), delivered speeches and had a group photo taken with the guests. Chancellor Yong Qiu and Vice Chancellor Bin Yang delivered speeches in English and expressed a warm welcome and gratitude to the distinguished guests. The following day, more than 200 guests were present at the forum, including academic leaders, philanthropy experts, government officials, philanthropists, and entrepreneurs. Each and every one of the attendees had been specifically invited on account of their significant contributions to Chinese philanthropy in China itself as well as abroad. The opening ceremony was co-chaired by Professor Denggao Long, Director of the Center of Chinese Entrepreneurs Studies, Tsinghua University and Professor Min Zhou, Director of the UCLA Asia Pacific Center. One of the first agenda items was a presentation on the first comprehensive study on global Chinese philanthropy after which the diverse set of experts had ample opportunity to discuss the future of Chinese philanthropy amongst a host of other topics. 06/30/2018. On June 27th and 28th, the GCPI - Tsinghua Forum was held at Tsinghua University's Schwarzman College. The forum aims to promote the Chinese charity spirit and Chinese business social responsibility, and provide opportunities for interaction and cooperation for people from all walks of life who have an interest in Chinese charity. Tan Tianxing, deputy director of the United Front Work Department of the Central Committee of the Communist Party of China, said in his speech that there are about 25,000 overseas Chinese and overseas Chinese charity foundations globally and that the Overseas Chinese Affairs Office of the State Council will continue to support the development of overseas Chinese communities their philanthropy initiatives. The forum was fruitful and featured the release of the first ever research report on global Chinese philanthropy initiatives, which laid a solid foundation for the follow-up on the forum. 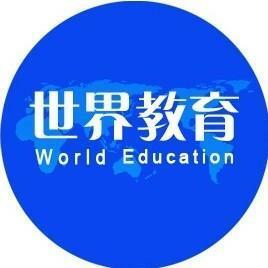 This follow up, in the form of a ‘Global Chinese Charity Alliance' will build upon the research results and establish an interactive platform for the sustainable development of philanthropists in China and the United States, enabling them to jointly address challenges and problems as they go along. 06/29/2018. The GCPI – Tsinghua Forum was successfully held in Beijing on June 28th. With the attendance of over 200 philanthropy stakeholders including, experts, academics, philanthropists and officials from around the world, the opening ceremony was co-chaired by Long Denggao, director of the Center of Chinese Entrepreneurs Studies, Tsinghua University, and Zhou Min, Director of the UCLA Asia Pacific Center. Yang Bin, Vice Chancellor of Tsinghua University, Gene D. Block, Chancellor of UCLA and Tan Tianxing, Vice Minister of the United Front Work Department of CPC Central Committee all delivered opening speeches. Next, the forum hosted three high-level dialogues, a dean's panel and two academic discussions with topics stretching from innovation in philanthropy, comparisons between Chinese and American Chinese philanthropists and emerging Chinese philanthropists to academic philanthropy research. 06/29/2018. On June 27-28, the GCPI – Tsinghua Forum was kicked off at Tsinghua University. With the attendance of over 200 guests and the participation of high-level figures such as Tsinghua Vice Chancellor Yang Bin, UCLA Chancellor Gene Block, Hongkang Life Insurance Chairman, Lu Dezhi, Hang Lung Properties Chairman, Ronnie Chan, Chairman of the Beijing Lao Niu Xiongmei Foundation, Niu Ben and many others who have made significant contribution to Chinese philanthropy, the forum was widely seen as a a great success. President Gene D. Block highlighted the rapid growth rate of Chinese and American Chinese charity in his speech. During 2008-2014, Chinese donations have increased fivefold. 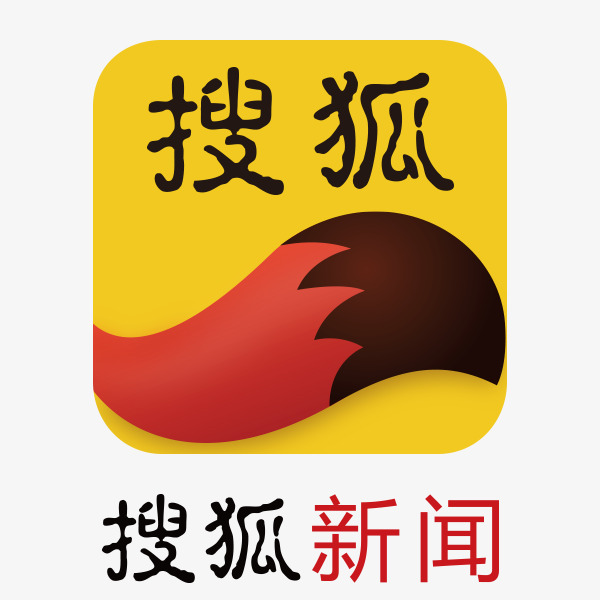 From 2000 to 2014, the Chinese Foundation has grown from 300 to 1300. Vice Minister Tan Tianxing in turn, pointed out that there are currently 100,000 charity organizations including 25,000 overseas Chinese charities active in China with more than 65 million volunteers and about 100 billion Yuan in donations each year. 06/29/2018. On June 27th and 28th, the GCPI - Tsinghua Forum was held at Tsinghua University's Schwarzman College. The forum aims to promote the Chinese charity spirit and Chinese business social responsibility, and provide opportunities for interaction and cooperation for people from all walks of life who have an interest in Chinese charity. Tan Tianxing, deputy director of the United Front Work Department of the Central Committee of the Communist Party of China, said in his speech that there are about 25,000 overseas Chinese and overseas Chinese charity foundations globally and that the Overseas Chinese Affairs Office of the State Council will continue to support the development of overseas Chinese communities their philanthropy initiatives. The forum was fruitful and featured the release of the first ever research report on global Chinese philanthropy initiatives, which laid a solid foundation for the follow-up on the forum. This follow up, in the form of a ‘Global Chinese Charity Alliance' will build upon the research results and establish an interactive platform for the sustainable development of philanthropists in China and the United States, enabling them to jointly address challenges and problems as they go along. 06/29/2018. On the 28th, the GCPI – Tsinghua Forum was held at the Schwarzman Academy in Beijing, symbolizing the achievements of past Sino-US cultural exchanges. Tsinghua University Vice Chancellor Yang Bin, UCLA Chancellor Gene D. Block and Vice Minister of the United Front Work Department of CPC Central Committee Tan Tianxing delivered the opening speeches. Yang Bin said: Chinese culture has a long history of philanthropy, and individual Chinese philanthropists around the world have made important contributions to their local communities. Chancellor Block indicated in his speech that Chinese UCLA alumni have been actively committed to the development of philanthropy for quite a few years. They have generously funded many UCLA students and research institutions, and have even influenced policy makers in the United States and China. In his speech, Vice Minister Tan spoke highly of the forum, arguing that it reflects the traditional Chinese virtues of giving and benevolence, as well as that philanthropy is becoming increasingly important in the minds of Chinese people. The forum advanced international cooperation and mutual learning, celebrating the contributions of Chinese philanthropists and scholars, entrepreneurs, and promoted the spirit of Chinese philanthropy and corporate social responsibility in China. On Tuesday, January 16th, the Global Chinese Philanthropy Initiative (GCPI) participated in an event hosted by China Institute and Chinese Global Philanthropy Institute (CGPI), titled "US-China Philanthropy: An Intergenerational Dialogue. On January 17, 2018, SupChina, in collaboration with The China Institute held the conference 'NEXT CHINA: How the Middle Kingdom Will Reshape Your World' in New York. The conference consisted of five forums, each touching on key topics such as Technology, Economy, Healthcare, Politics and Philanthropy.